In fact, when you share this code with friends or family and they purchase a Bundle, we will send you $50 and they’ll get $50 off of their order, too. Wahoo! 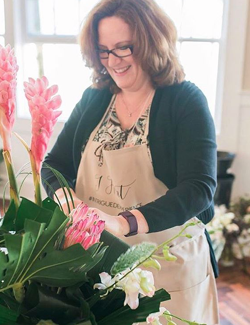 Choose the florist tier you want to work with based on the level of experience of the florist and how much creative direction you want in the design process. Select all the flowers you need, then customize your bundle with flower variety, style, and color. 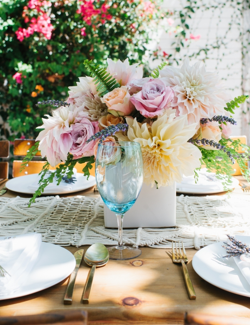 Reserve your florist for your wedding date and hop on a call with your florist. Your deposit will not be charged until you speak with your florist directly and sign your contract. Your florist will deliver your beautiful flowers directly to your venue to set up, as usual, so you can enjoy your day stress-free. All of our florists are top-rated and experienced professionals. Some florists have lower minimums than others (based on experience, clientele, location) which allows us to provide bundles in every budget. You will be matched with one of our best florists with lower minimums. 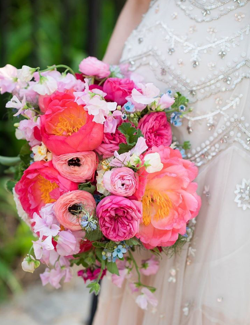 You will be matched with one of our experienced florists with Pinterest-worthy portfolios. You will be matched with one of our most exclusive and high-end florists. Bundles by Bloomerent is live in the Northeast! Each Bloomerent florist is hand-picked and vetted to guarantee that you're working with experienced professionals in your area. Collaborate with your florist to customize your design down to style, color and more. If you're unhappy with your matched florist for any reason, let us know and we will match you with a new Bloomerent florist. Check flowers off of your to-do list quickly and easily. Florists handle everything from sourcing the best flowers to delivering and setting them up at your venue so that you can enjoy your day, stress-free. 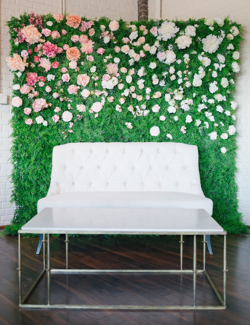 "Limitless creativity and sustainable sourcing"
"Inspiration in the untamed, the natural, the ephemeral"
"High-end wedding flowers in every style"
I cannot say enough wonderful things about the BloomBar team, especially Carly. She was such a pleasure to work with, she truly made everything easy for me, and seemed to know exactly the aesthetic and vibe I was going for. So thankful for Bloomerent to connect me to them! With only 8 weeks to go before the wedding, I found Bloomerent! They put me in touch with a florist who provided me with realistic pricing - and the arrangements were stunning!!! I couldn't have been happier. I recommend this service to EVERYONE - quite frankly, I think anyone who pays full price for wedding flowers is crazy! Bloomerent is an absolutely genius concept - I loved it the moment I heard about it. There is a little bit of that guilt factor with weddings where you just feel guilty for spending so much money and things going to waste. Bloomerent helped me choose a partnered florist (Larkspur Botanicals - AMAZING) from the beginning. Although I did speak with several other florists, the one recommended by Bloomerent was by far my favorite. They took the time to really understand exactly what I wanted and find ways to make it work within my budget.